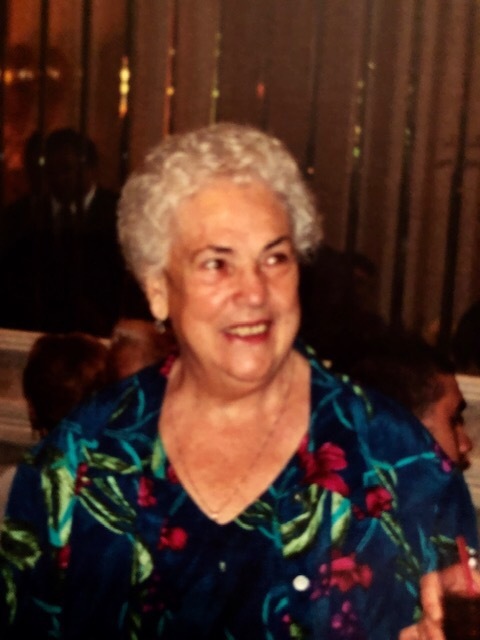 Frances Lombardo, 95, of McHenry and formerly of Chicago, was born on December 27, 1923 and passed away on February 5, 2019. Frances was the loving wife of the late Antonino for 49 years; beloved mother of Frank (the late Sandra); dear grandmother of Francine (Mike) Razalenti and Frank (Traci) Lombardo; cherished great-grandmother of Nicholas (Jeanette Crawford) Lombardo and Amanda Lombardo; great-great-grandmother of Landon Anthony Lombardo; her sisters, Catherine (the late Mike) Lazzara and Mary (the late Vito) Impastato; and loving aunt and cousin of many. She was preceded in death by her parents, Joseph and Frances Clemente; her husband; and grandson, Anthony Lombardo. Visitation will be held on Thursday, February 7, from 4:00-9:00pm at Davenport Family Funeral Home and Crematory, 941 S. Old Rand Rd., Lake Zurich. On Friday, February 8, visitation will continue at 9:00am until the time of her funeral service at 10:00am at the funeral home. Entombment will follow at All Saints Catholic Cemetery, Des Plaines.